Private Tour: Rajshahi Day Tour of Chhoto Sona Mosque and Varendra Research Museum. You will be picked up from your hotel in Rajshahi at 8am and transferred to your first stop Chhoto Sona Mosque which is the main attraction of this area. The mosque was built during the reign of Sultan Hussain Shah. The mosque is one of the best-preserved sultana monuments under protection by the Department of Archaeology and Museums, Governments of Bangladesh. The gilding that gave the building its name does not exist anymore. The mosque premise, which covers an area of 42m from East to West by 43.5m from North to South, was originally surrounded by an outer wall (now restored) with a gateway in the middle of the East side. Next, you’ll head to some other historic buildings such as the Toha Khana, a complex including a hammamkhana, a three-domed mosque and the tomb of Shah Neamotullah Wali, Dharash Bari Mosque, Dharash Bari or Madrasa -- the earliest madrasa in Bangladesh, Chamachika mosque. After lunch at a local restaurant, you will continue to the Varendra Research Museum. This gem of a museum is tucked away in an unassuming building on a quiet street. Founded in 1910 with the support of the Maharaja of Dighapatia, it is managed by Rajshahi University and is the oldest museum in the country. Inside is a fantastic collection of relics spanning from the earliest civilization of Mohenjodaro in Pakistan to local archaeological excavation sites. Enjoy the sculpture galleries, with figurines of Hindu gods, goddesses and mythical characters. The collection of Islamic artifacts from the medieval era, comprising weapons, ensembles, daily objects and a number of ornate hand-written copies of the Quran, is simply stunning. The building itself is a curious mix of British and Hindu architectural styles. 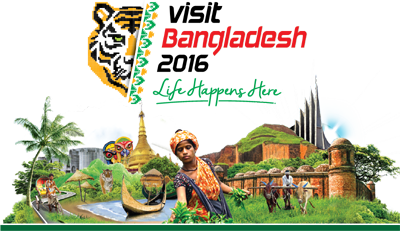 At approximately 6pm, you'll arrive back at your hotel in Rajshahi where the tour will end.